This mod will no longer be supported. 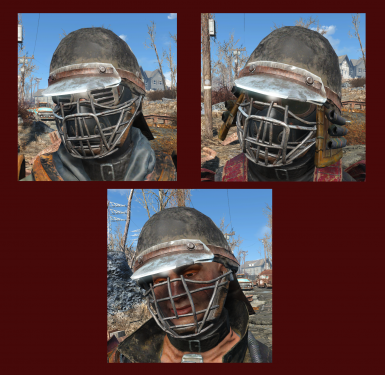 Mod Authors may freely re-use assets from this mod in other mods. Link to this mod in your mod and post info in a Comment in this mod. 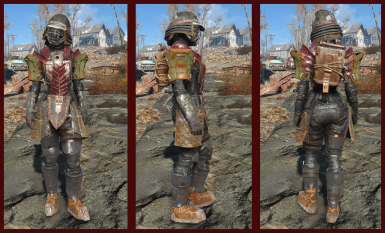 Is there a way to take the armor? Because this Samurai type s*** has made me nut harder then Mercy in a nun outfit but I can't kill the npcs to take it. Maybe I'm just retarded and not doing something right lol. what is the samurai code tho? I think I would have preferred this on Lucas Miller's caravan instead. 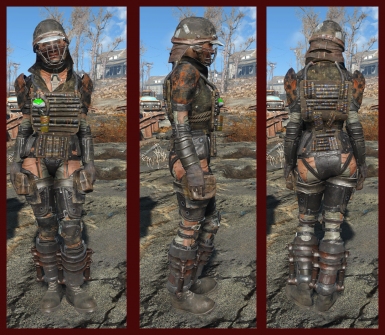 I converted the CBBE sliders to Jane Bod and posted them on LL located in Fallout 4 section under "Jane Bod (JB) Conversions"
Thanks. Many more are coming. This looks really promising, will track and check back. Love the concepts! Just posted the next preview for V1.4 in Image Sets. 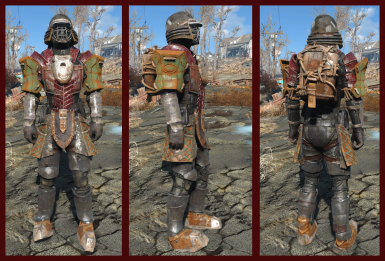 Female Guard Armor & Underarmor for Lucas Miller's caravan. 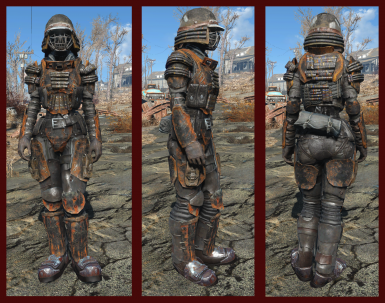 This legit is probably the coolest armors i have seen in a long time. I just love the mask and baseball helms! Has anyone used this without CBBE and does it look alright or does it clip? Thanks in advance, if I can use this then I no longer have to use bat files to upgrade the merchants like I used to. 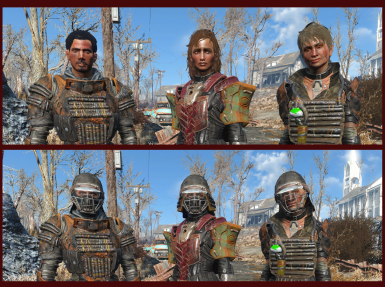 I'm using all of your other caravan mods (to varying degrees of success, Lucas is nowhere to be found and none of the NPCs will go to the place markers) and really like the appearance overhauls and back stories. Thanks for a really nice set of mods. I was really looking forward to this consolidated version to lower my plug-in load but you got rid of Tina and Tiny! No! That's one of the things that made Carla's caravan different from all the rest. Perhaps they could be an option? I will make them (Tiny and Tina) an option a bit further down the road. Including the possibility of a "Fancy Gritty" version of the full mod that uses borrowed mod assets instead of just Vanilla & DLCs. So it will be much closer to my original caravan mods. I do not want to add extra options right now as I would have too many parallel versions to update. 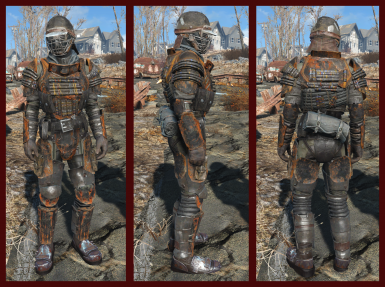 A few of the many reasons I am taking my current approach is (1) I wanted all assets to be free for other to re-use, (2) I wanted both male and female versions of outfits, (3) and I wanted to minimize issues that my older mods may have had on people getting them to work 100%. Keep in mind, that the traveling merchants are not Essential in vanilla, so Lucas may have gotten killed off. As for back stories, until I actually add something else into the game, I'm not focusing on my original back stories that were purely in the old mods' descriptions and nowhere else. Thanks for your feedback I hope this mod will eventually win you over. If not, my older mods are still available. Thanks for the quick response. Kinda thought Lucas might have met his end somewhere but I'm not too concerned about it, I might see if I can possibly "resurrect" him in the future. I don't have a clue as to how modding is done but I do realize it is a complex and complicated endeavor and keeping your focus and priorities is necessary for success. 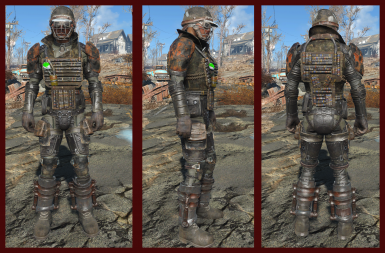 For the time being I'll keep the old mods (no dig, but I like the armor better too! and keep an eye on this one. Thanks again.